Everything we do, take, eat, or buy has a carbon footprint, and therefore an impact on climate change. Food production is, in fact, a major contributor. Agriculture as a whole is responsible for 30 percent of global greenhouse gases, and meat production is responsible for the greatest proportion of this. The FAO (Food and Agriculture Organization of the United Nations) estimates that livestock production is responsible for up to 18 percent of global emissions. Some scientists put the figure as high as 51 percent. Climate change is not the only environmental issue associated with meat and dairy production, but it is one of the most significant. Meat consumption and the greenhouse gases (GHGs) associated with it are set to grow exponentially in the coming future. Across many cultures and stages of economic development, meat (especially red meat) is regarded as a status symbol, as well as a nutritionally desirable food. An increase in meat consumption therefore figures prominently in many governments’ plan for a global “nutrition transition” especially amongst the global poor. 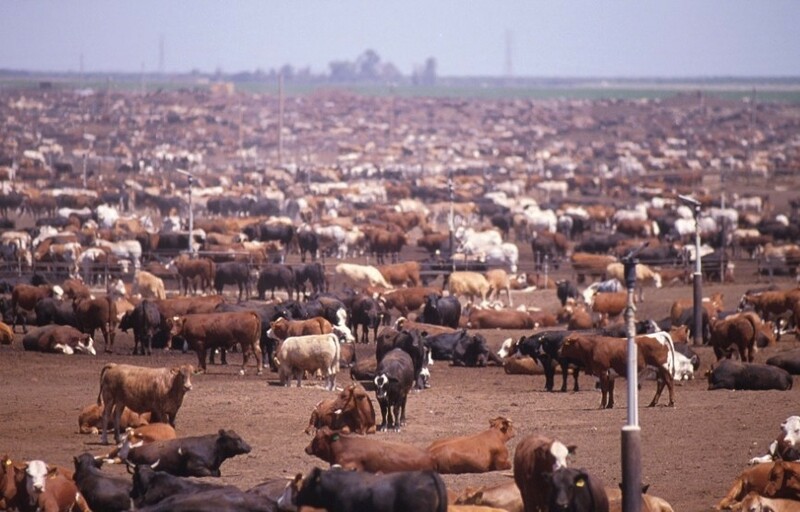 Meat Factory Farms: In 2000, global meat consumption was 230 million tons per year. By the year 2050 it is expected to reach 465 million tons. The sheer number of animals being farmed for consumption is the reason why livestock has such a profound effect on climate. Based on current figures, around 60 billion animals (poultry and mammals) are used to produce food each year. The factory-farmed meat we eat today, however, is vastly different from the wild game meat that our ancestors ate, especially in its balance of fats and chemical pollutant content. Modern meat production stands out also by the amount of environmental and ecological damage it causes, not just from the emission of climate-changing gases, but also via substantial energy inputs. Meat and dairy products currently make up a third of humanity’s protein intake, and demand is growing fast. 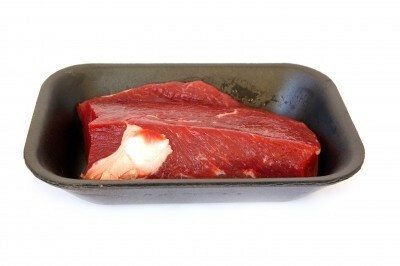 In 2000, global meat consumption was 230 million tons per year. By the year 2050 it is expected to reach 465 million tons. The sheer number of animals being farmed for consumption is the reason why livestock farming has such a profound effect on climate. Based on current figures, around 60 billion animals (poultry and mammals) are used to produce food each year. As the numbers go up, so does the environmental damage associated with them. This drive to increase meat consumption, by creating a new market of meat consumers amongst traditionally low meat-eating populations (for instance in China and India), has already begun. Lester Brown, founder of the Worldwatch Institute, and founder and president of the Earth Policy Institute, has estimated that China, on its current economic growth trajectory, will match the current US meat intake of 125 kg per person by 2031 – triple what it is currently consuming. 9 percent of anthropogenic (man-made) carbon dioxide emissions globally, most of it due to tearing down forests to create pastures for animals to graze and arable land for feed crops. 37 percent of man-made methane mostly from enteric fermentation – the flatulence of ruminants such as cows, sheep, and goats. 65 percent of man-made nitrous oxide, from manure (when it is stored as slurry especially from intensive hog farms) and the production of nitrate fertilizers. One hectare (2.4 acres) of Amazon rainforest is lost to cattle ranchers every 18 seconds. That equates to six football fields of ancient forest destroyed every minute to create room for grazing cattle. Waste, in particular, is a problem of industrialized farming systems where there are Confined Animal Feeding Operations (CAFOs), where there is too much manure to cycle through the farm, and therefore stored in massive lagoons which are open to the air and which emit vast amounts of nitrous oxide as well as methane. In addition to the three main climate-changing gases, livestock farming also generates almost two-thirds of man-made ammonia (particularly in intensive chicken operations), which contributes significantly to acid rain and acidification of ecosystems. According to the 2009 Friends of the Earth report Eating The Planet, a high-meat diet eats into the planet’s resources more than a plant-based one. It can take 10 kg of animal feed and 15,500 liters of water to produce 1 kg of meat in a factory farm. The Meat Free Monday campaign invites people to reduce the intake of meat for one day a week. In March 2009, the respected charity Oxfam issued a policy paper also calling for a reduction in meat and dairy consumption. It suggested that replacing red meat and dairy with vegetables just one day a week, could cut an individual’s annual emissions by the equivalent of a 1,160-mile car trip. Shockingly, reducing meat consumption also saves precious water. The estimated 634 gallons of fresh water required to produce a SINGLE BEEF BURGER equate to taking a four-hour shower! In a world where nearly one billion people are starving, one third of all cereal crops, and well over 90 percent of soy, goes into animal feed – not food for humans. Producing and eating less meat can free up these crops for human consumption. 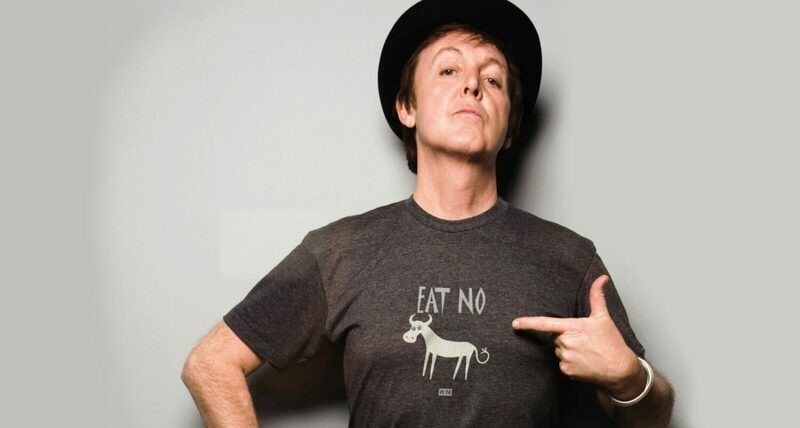 I am Paul McCartney and I am a Vegetarian – PETA. 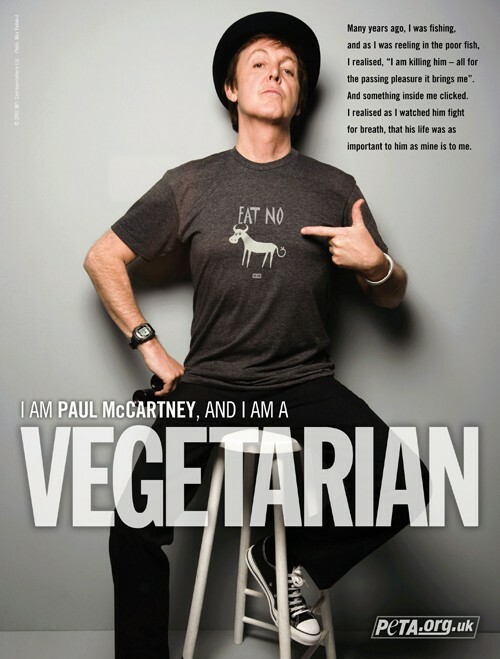 Meat Free Monday aims to encourage and inspire people to make a change one day a week. “By making a simple change in the way you eat, you are taking part in a world changing campaign where what’s good for you is also good for the planet.” (Image Copyright (c) 2007 LPM Communications Ltd. Photo: Max Vadukul). 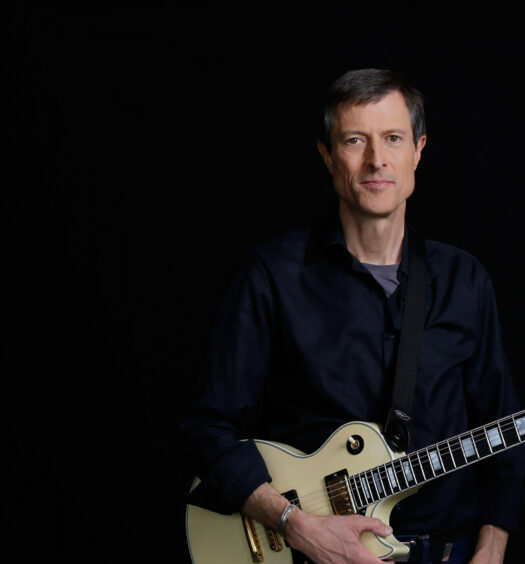 Launched by Paul, Stella, and Mary McCartney in June 2009, the campaign has been endorsed by a wide range of climate change experts and celebrities. Supporters include ex-US Vice President Al Gore, Nobel Prize Winner Dr. Rajendra Pachauri, Sir David King (former Chief Scientific Officer), 10:10, Zac Goldsmith MP, Gwyneth Paltrow, Richard Branson, Puma, the New Economics Foundation, Ocado, Hard Rock Cafe, and many others. An extensive and inspiring collection of free recipes can be found at the Meat Free Monday website (MeatFreeMondays.com). Recipes around the world are featured and updated every week, including recipes from Linda McCartney and UK’s top chefs. The site also provides news and information of food-related issues, as well as ways for people to get involved eat less meat for a better planet. Meat Free Monday is a not-for-profit organization and is independent of any government, political persuasion or corporation. 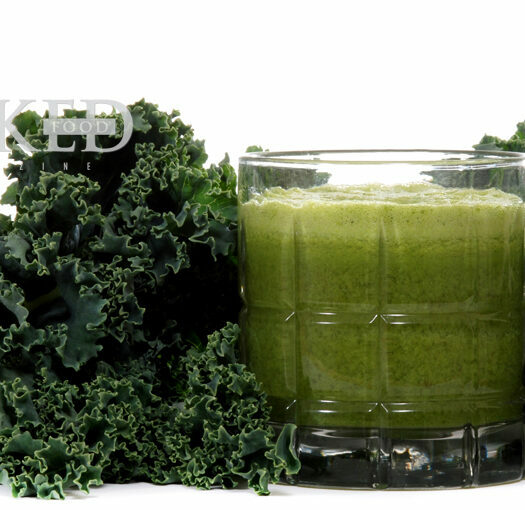 I’m glad that i found nakedfoodmagazine.com! The reader learns just how detrimental this can be, and how to have healthier friendships to live a healthier life! My spouse and I stumbled over here by a different web page. We’re following you on Twitter too. Look forward to exploring your magazine. Hi there, i just wanted to drop you a line to say that i thoroughly enjoyed this particular post of yours, I have subscribed to your RSS feeds and have skimmed a few of your posts before but this one really stood out for me. I know that I am just a stranger to you but I figured you might appreciate the admiration. Take care and keep blogging. My spouse and I absolutely love your blog and find a lot of your post’s to be just what I’m looking for. Do you offer guest writers to write content for yourself? I wouldn’t mind creating a post or elaborating on a lot of the subjects you write about here. Again, awesome web log! Howdy! I simply would like to give a huge thumbs up for the great info you’ve gotten right here on this post. I will probably be coming back to your blog for more soon. I just bookmarked you on Digg, hope this helps get you more visits. I’m all over this using this type of write-up. I truly believe this site requires more consideration. I’ll likely be returning again to see a great deal more, thanks for the post, it is superb! I’m still learning from you, while I’m trying to reach my goals. I absolutely liked reading all that is written on your blog. Keep the stories coming. I liked it! Hello! I just wish to give a huge thumbs up for the very good information you’ve gotten proper here on this post. I will likely be coming back to your weblog for much more soon. Many thanks for all the wonderful comments. We are delighted to have you all.